I was able to sneak in a little time to craft a few days ago and I just had to do something with a summer theme. I am just not ready for fall yet, lol! Anyway, I was going through some of my files and I just had to do something with this cutie....it just made me smile! 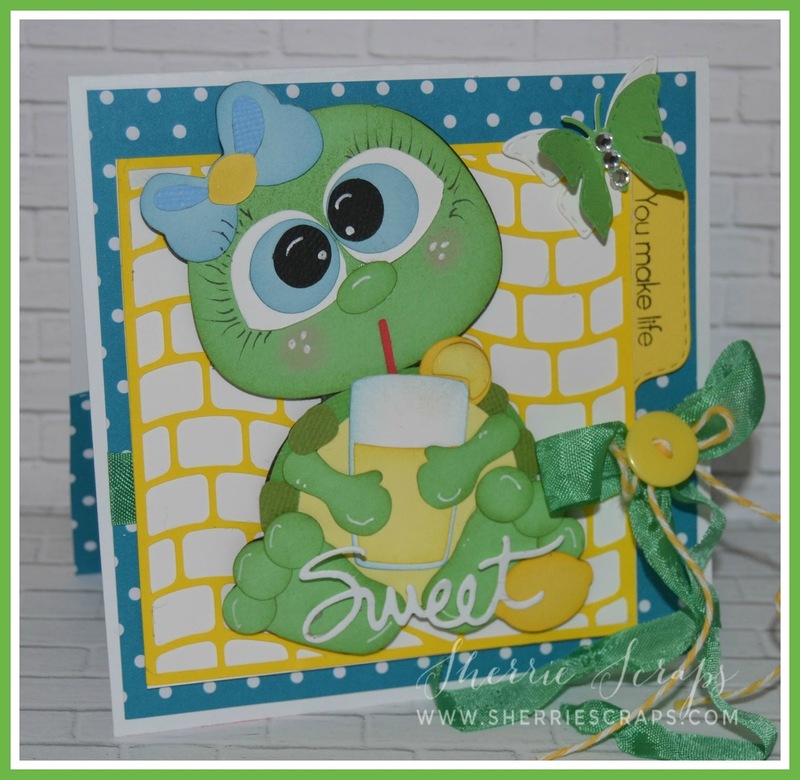 The adorable turtle is Kadoodle Bug Designs Lemonade Turtle cut file. The papers are from Paper Studio. The background grid is from the Silhouette Store and cut on my Cameo. 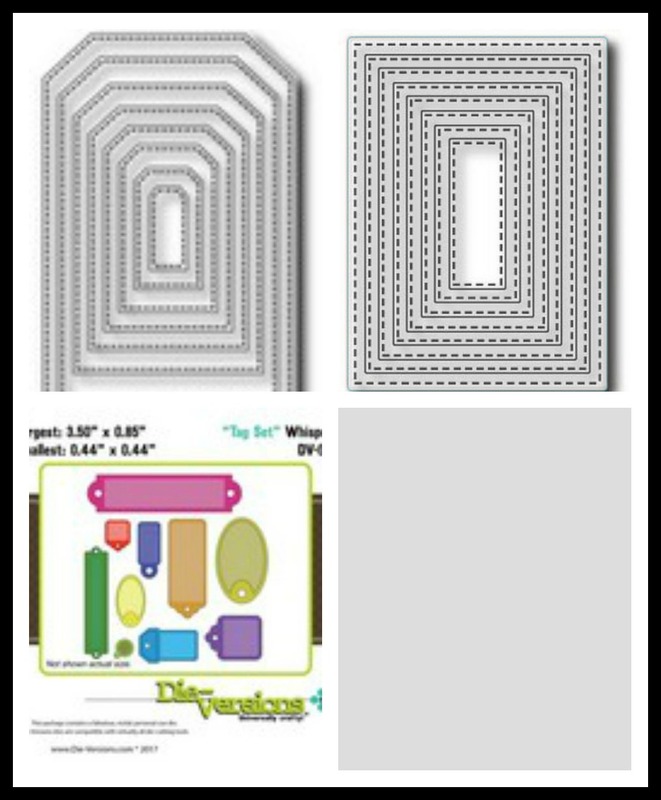 I will definitely be using those grids more often. I popped this sweet turtle with foam adhesives for added dimension. The sentiment is stamped onto a My Creative Time Stitched Tab Die. The sentiment and the sweet word die is from My Creative Time Sweet Wishes Stamp/Die set. The butterfly is Jaded Blossom Spring Dies 2 and the gems are from my stash. I finished with tying on a bow with twine from Trendy Twine and the crinkle ribbon is from my sweet friend, Karen at LSP. Today, I have a fun treat/gift box and card to share. The papers are from Simple Stories collection. 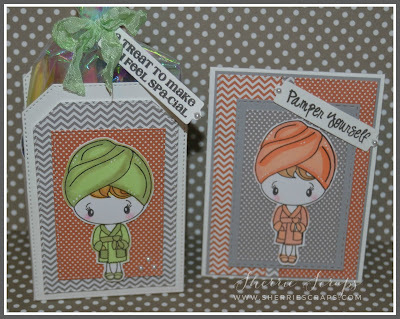 I used the Tutti Designs Nesting Stitched Tag Dies for the font and back of the box that I made. 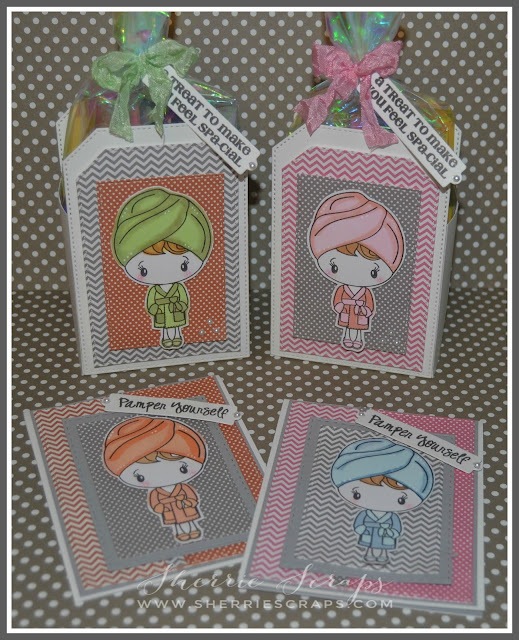 I layered the tags and followed with a Tutti Designs Nesting Stitched Rectangle Dies to layer this sweet little spa girl to it. 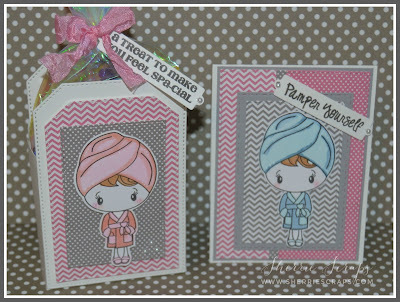 The image and sentiment is from Jaded Blossoms Pamper yourself stamp set and colored with copics. 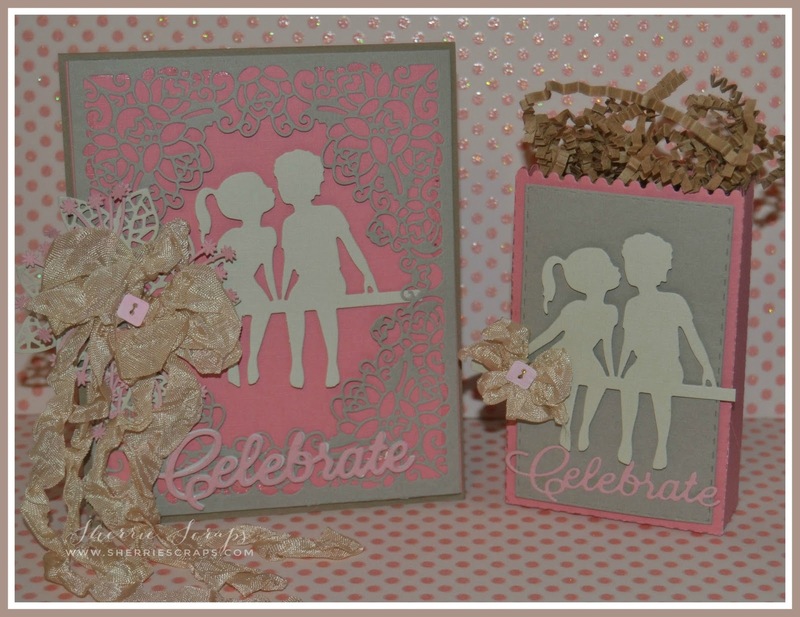 The label is Die Versions Tag Set Dies and the pretty ribbon is from DL.ART. 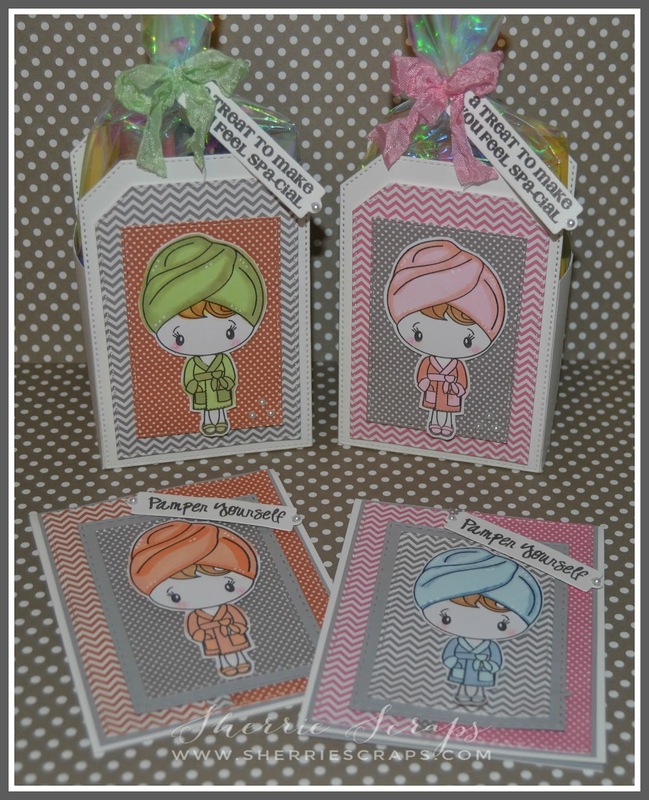 The base layer for the cards are made using the Tutti Designs Nesting Stitched Rectangle Dies and then followed with the smaller sizes for which the spa girl is layered onto. 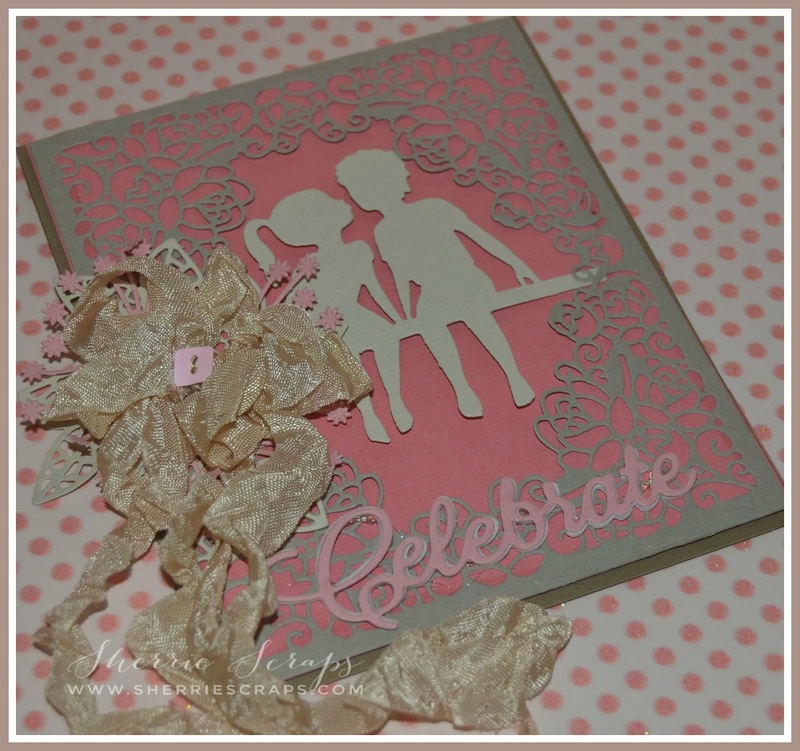 The tag again is the Die Versions Tag Set Dies and sentiment from Jaded Blossoms. One gift box is filled with Bath & Body lotion and spray along with a gift card. The other gift box with nail polish, remover, file, etc and gift card~Fun little gifts to have on hand when needing something at the last minute?! 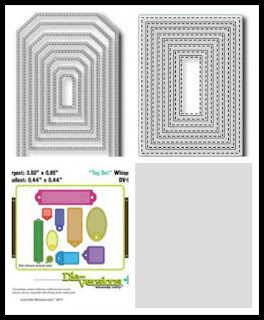 We found these cute chevron and dot bags at Michael's. 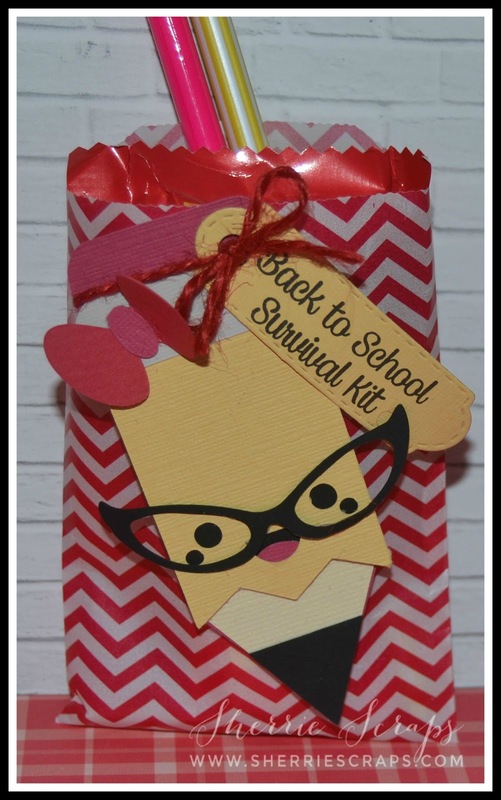 The cute little pencil is a cut file from SVG Cutting Files called Kawaii Nerdy School and cut on my Cameo. We adhered them in place with foam adhesives. The sentiments are stamped with Jaded Blossom School Rocks stamp set onto a Jaded Blossom Mini Tag Dies 2 and tied on with jute cord from my stash. Arya filled them with 2 pencils, erasers and of course some candy (skittles and starbursts) her favorites! We filled the Teachers treat box with some practical things as well~Kleenex, Hand Sanitizer, Sharpie Markers and Highlighters and of course some candy~tic tacs and chocolate! Today, I have a cute little card to share with you. 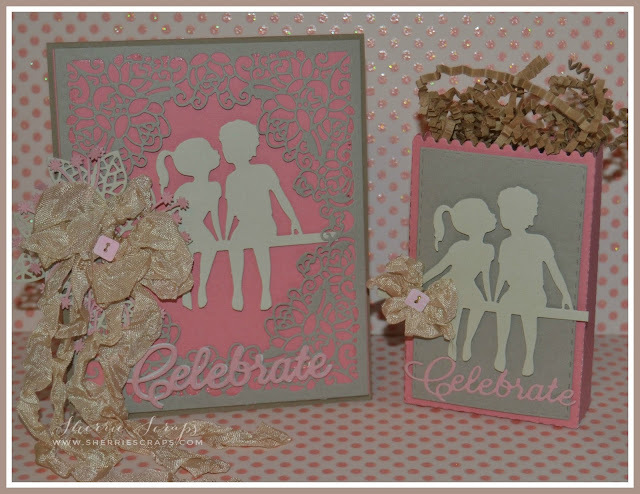 I thought this would be perfect for a young couple celebrating their engagement or even an anniversary. I started with a tan base and then a pretty coral colored base layer. 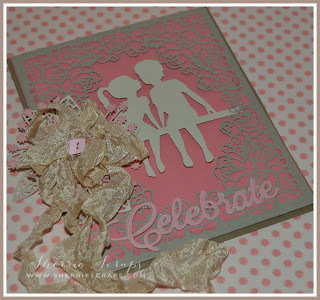 I followed with the gorgeous Tutti Designs Rose Frame Die. Oh my gosh, I love the intricate look and beautiful design of this die. The sweet little boy/girl is Die Versions Whispers Lovely Kids Die. 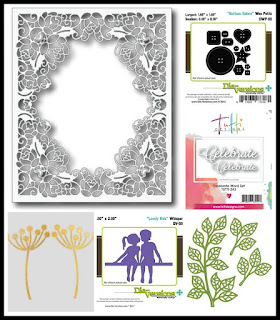 Beneath the pretty bow is the Cheery Lynn Designs Dandelions Die and the Sue Wilson Mosaic Leaves Die. The bow is created with tea stain crinkle ribbon from DL.ART and the center button is Die Versions Buttons Galore Die. 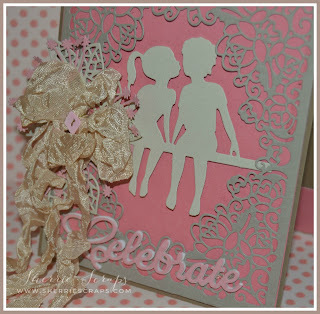 The celebrate is Tutti Designs Celebrate Word Die. I cut it out of foam and then and stock for a little dimension. 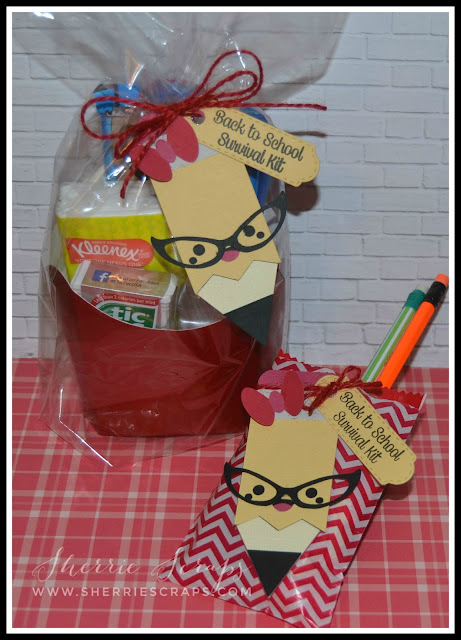 The treat box is decorated to match the card and perfect for chocolates or even to hold a gift card. 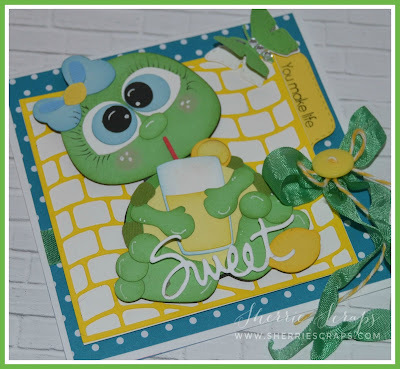 The sweet boy/girl again is the Die Versions Whispers Lovely Kids Die and the celebrate is Tutti Designs Celebrate Word Die. I finished it with a pretty bow using tea stain ribbon from DL.ART. 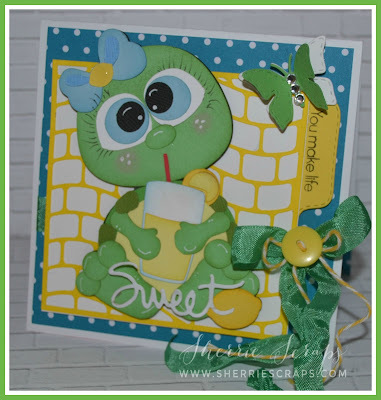 Stop over at Scrapy Land to check out all the inspiration by the Design Team and then come back and join in on the Anything Goes challenge using a brand of die Scrapy Land carries. 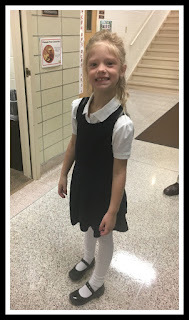 Can't wait to see what you create!